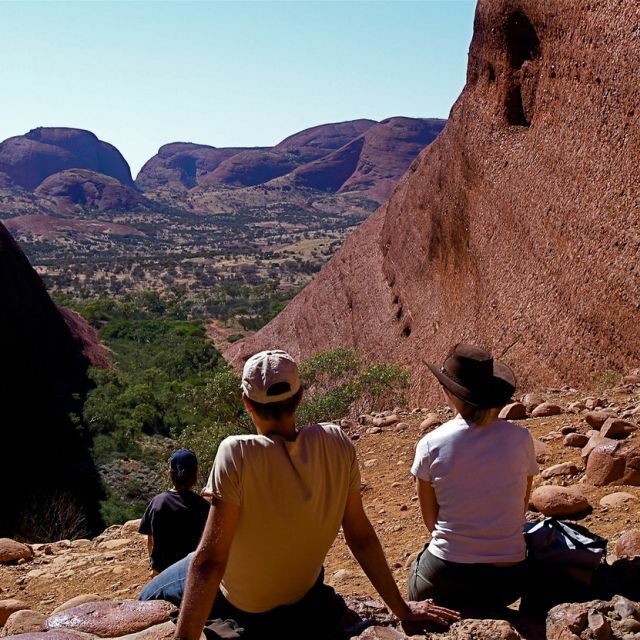 Guided walks at Uluru (Ayers Rock), Kata-Tjuta (The Olgas), Watarrka (Kings Canyon), Palm Valley, Ormiston Gorge. 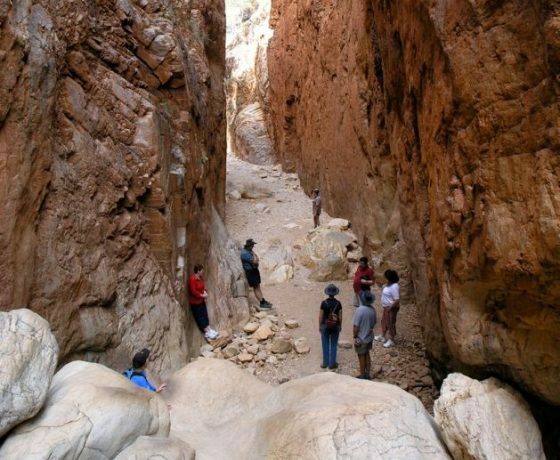 Explore feature gaps, gorges and chasms of the Macdonnell Ranges. 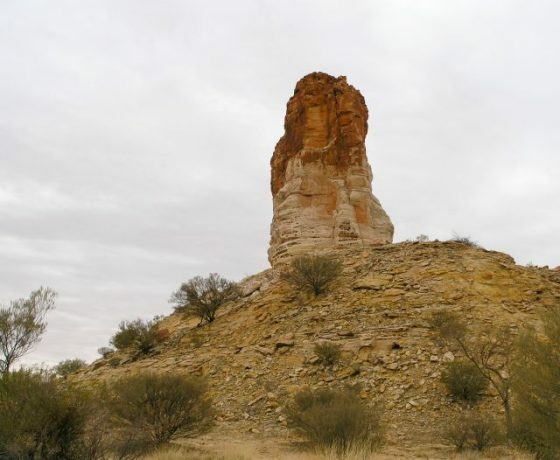 Hermannsburg, Chambers Pillar and Rainbow Valley. 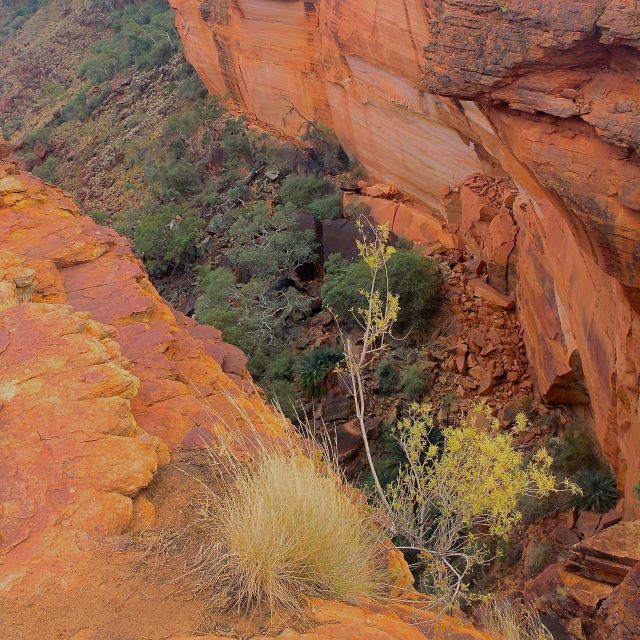 Connection journey into Anangu Pitjantjatjara Lands. 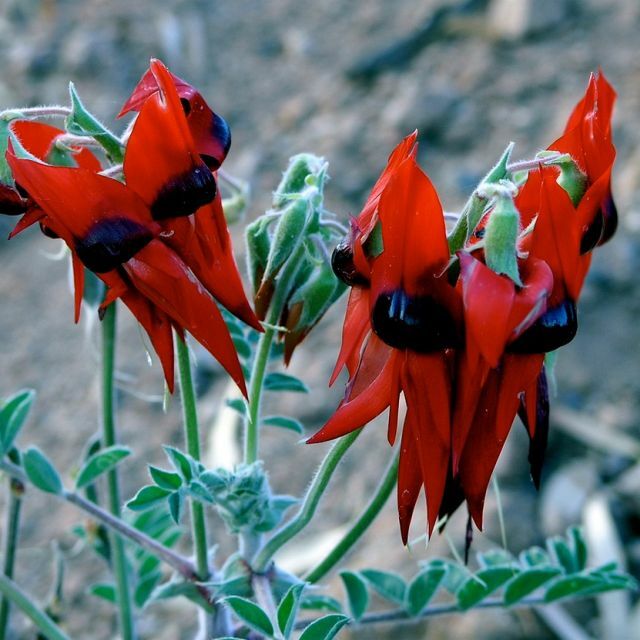 Enjoy “Sounds of Silence” dinner in the desert and Field of Lights. 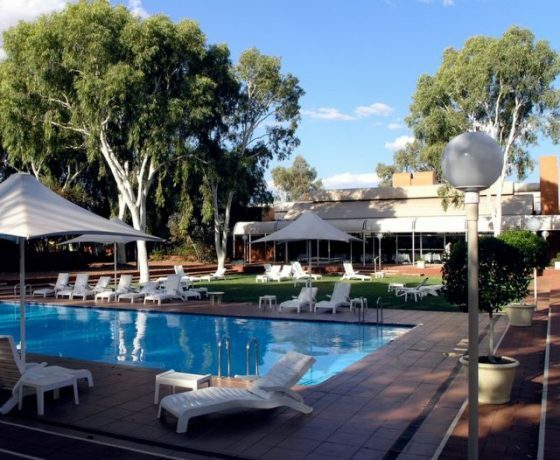 History, art, culture and desert surrounds of Central Australia’s frontier town, Alice Springs or “The Alice” – your complete Central Australia experience. 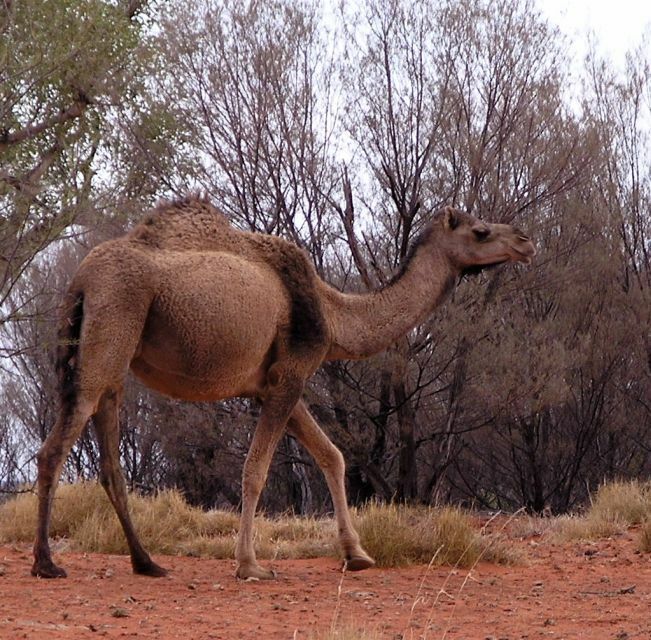 11 days, departs Alice Springs. Single Supplement AUD$ TBA. Special Discounts apply to this tour. Early Bird price reverts to the Regular Price 6 months prior to each tour departure date. 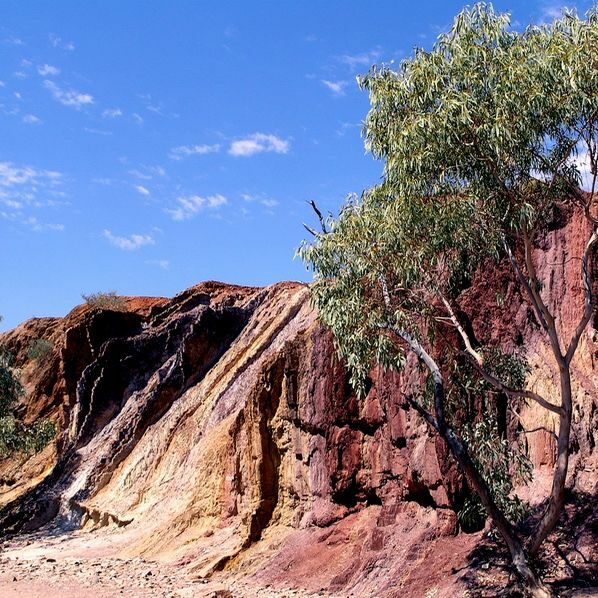 Take the time to explore an evocative and sublimely beautiful landscape on our Central Australia tours given a geological history dating back 550 million years. 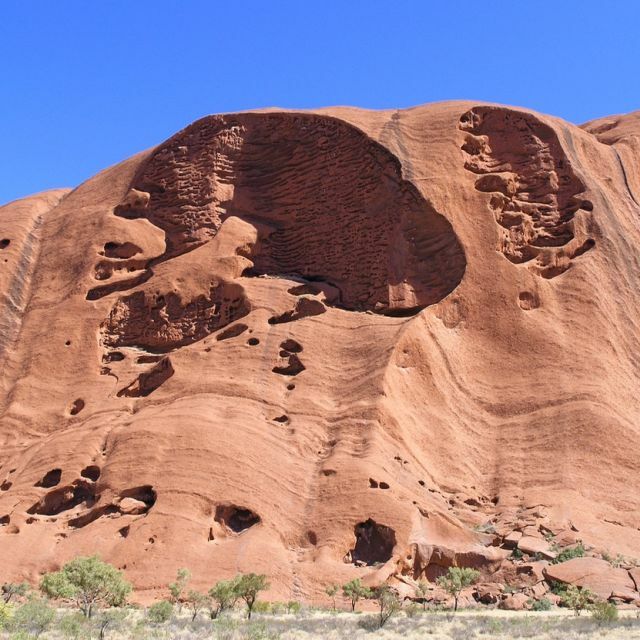 The world’s greatest monoliths, Uluru (Ayers Rock) and Kata Tjuta (The Olgas) were created. an oral culture and belief system encompassing morals, creation and care for the land, the people’s way of life and connection to the land. 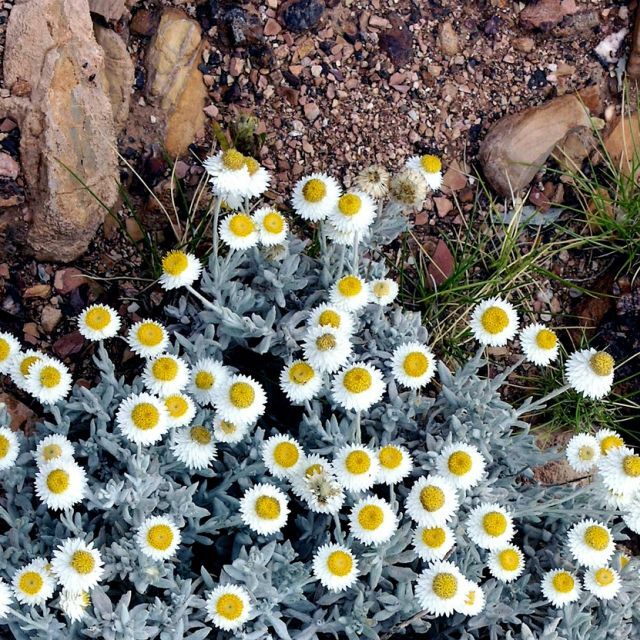 natural features profoundly highlighted by the clarity of atmosphere and strength of the sun. 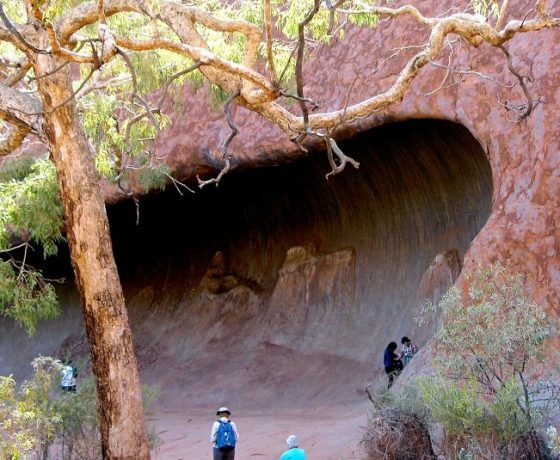 These Central Australia tours in the Red Centre are offered all inclusive of quality accommodation and meals provided in remote locations, special entries, side tours and services. Thank you for such a wonderful holiday. I expected the centre of Australia to be vast, but not as ancient. 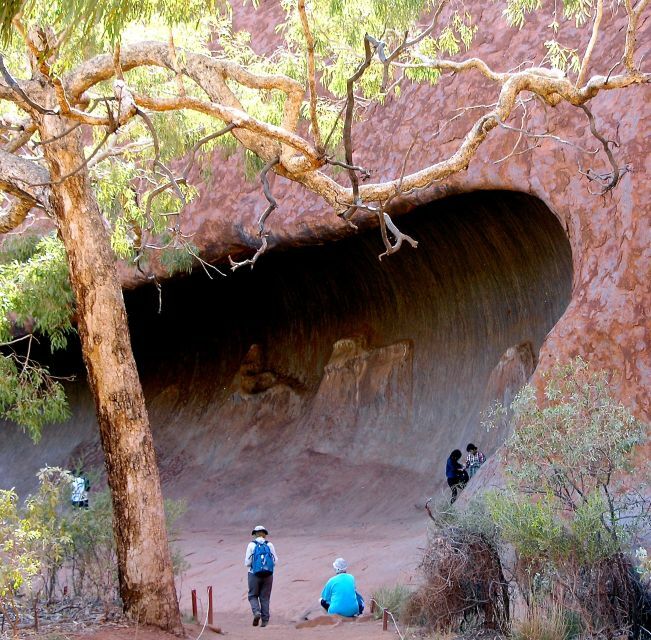 Uluru is a must see for any visitor to your country and your walk around its base wonderful. 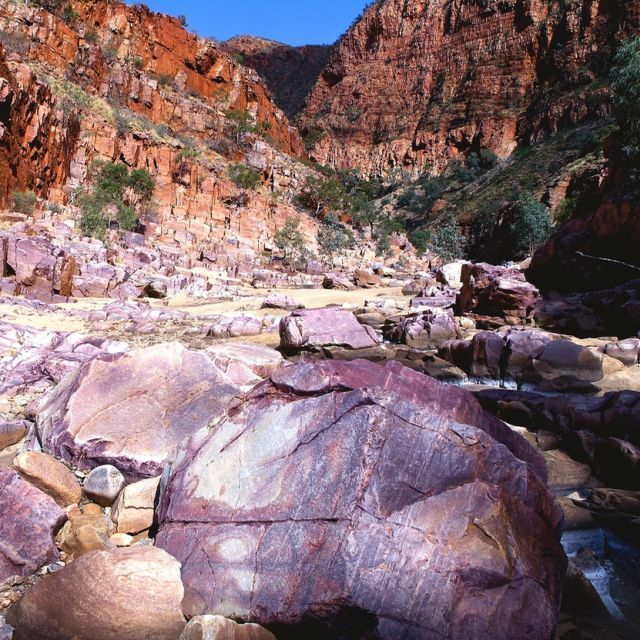 For me your focus on so many other features down back tracks away from the crowds was a highlight and the colours of the rock walls in the sandy gorges like Ormiston, Kings Canyon and Rainbow Valley, wow! 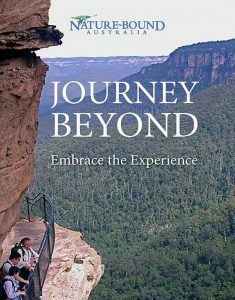 I’d easily recommend this journey to friends and oh those incredible night skies dusted with stars. All up a holiday leaving wonderful memories. 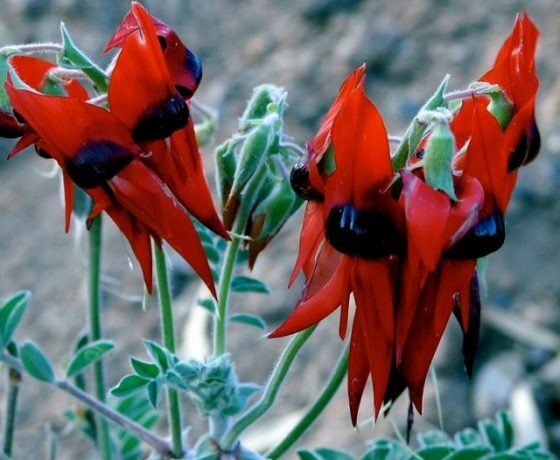 Having made a commitment to learn more about the First Australians and to understand the effects of colonialism on their cultures, languages and lifestyles we spent a lot of time doing the research that led to this tour. 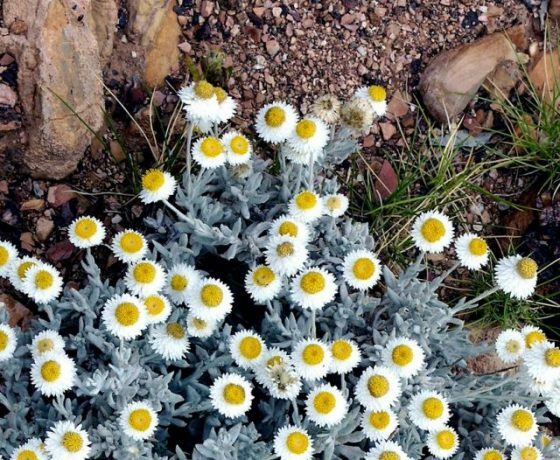 It was difficult to find a tour for over 50s that offered what we wanted. From the moment we made contact with John and Ros it felt right. Communication prior to the trip was outstanding. The trip went way beyond our expectations. 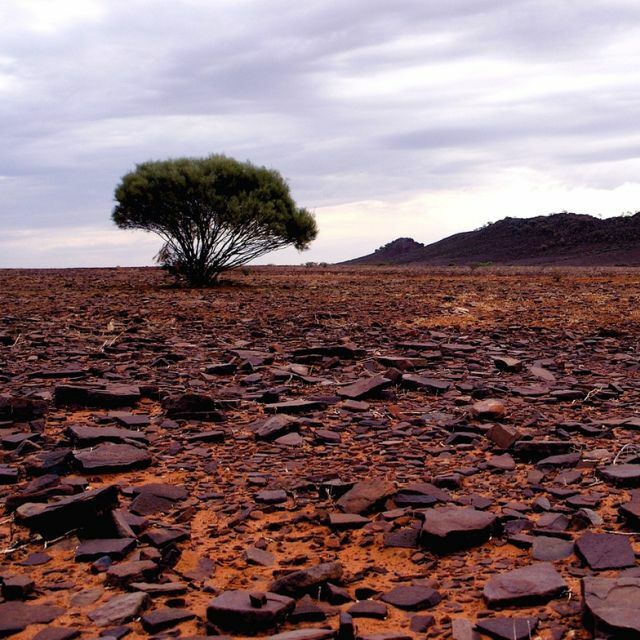 We learned so much about the environment of Central Australia, the indigenous groups and their cultures. No longer up for camping, we stayed in comfortable accommodation, ate gourmet meals (even for us vegetarians) and did much walking geared to our individual levels of ability. We offer our heartfelt thanks to John and Ros for giving us this once in a lifetime experience. Pre departure administration, meet ‘n greet function and tour briefing the afternoon before the tour in Alice Springs or Ayers Rock Resort, Yulara as direction of tour and guest arrivals determine. 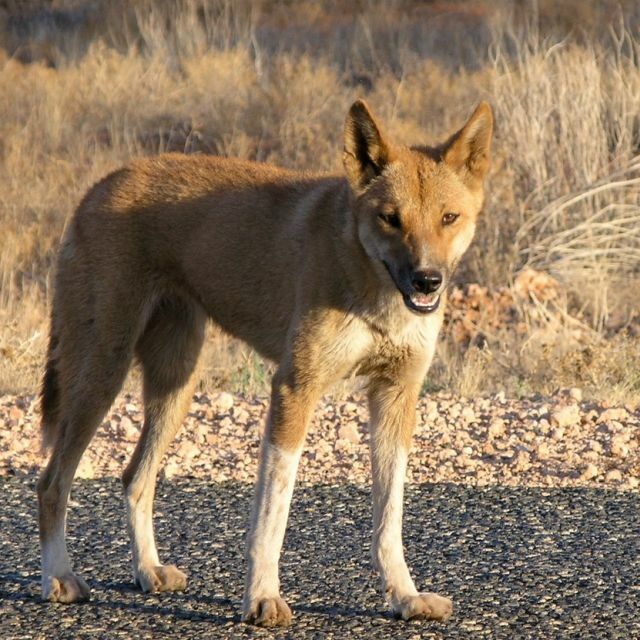 Your tour will commence with visits to a selection of historic and informative features around Alice Springs including the historic Overland Telegraph Station, museum or Aboriginal art gallery and the world class Desert Park providing a comprehensive insight into the natural history of Central Australia, the landform, plants, wildlife and First Peoples occupation. Then you’ll enjoy a late afternoon drive to Rainbow Valley to absorb this magnificent icon in its full sunset glory. 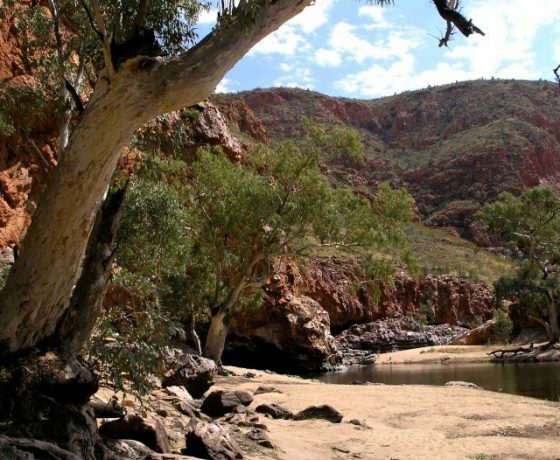 Today you’ll travel short distances into the East MacDonnell Ranges to visit a number of small intimate gaps and gorges cutting through the ranges. 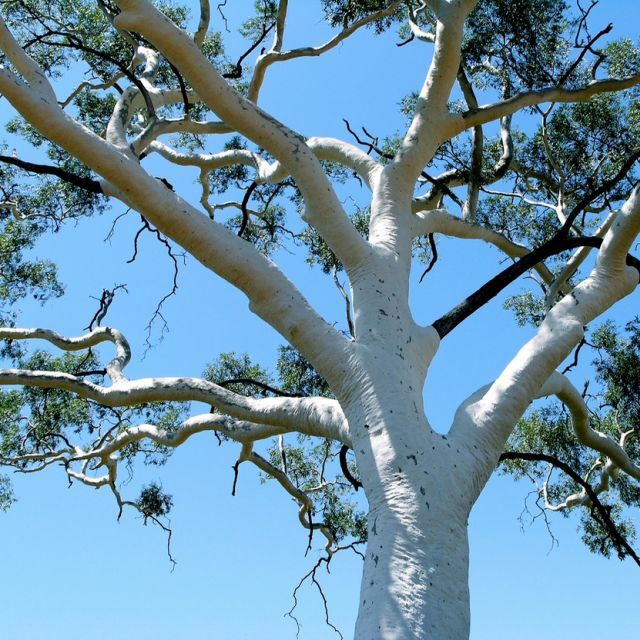 A few of these have sacred cultural significance to the original Aboriginal occupants. 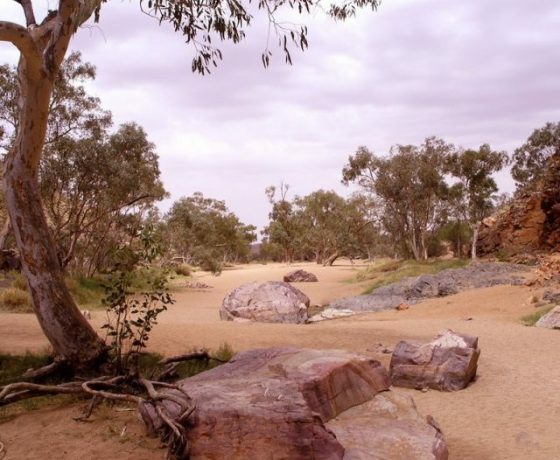 We’ll spend some time in beautiful Trephina Gorge with its rich rust red walls, clean sandy dry river bed, magnificent River Red Gums and Ghost Gums. 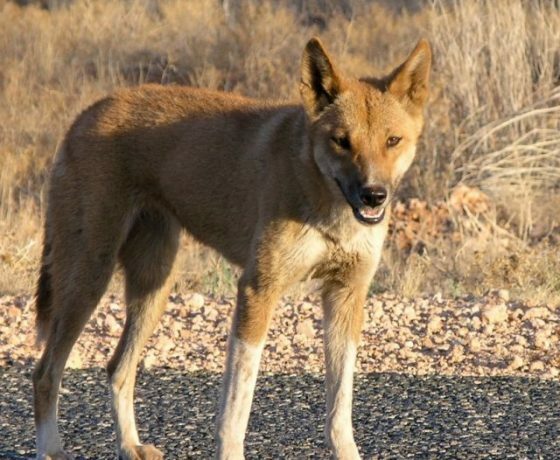 Chance here to embark on a short walk along the rim of the gorge then it’s on to a remote property and rustic homestead for lunch and return to ‘Alice’ to prepare for tomorrow’s walk. 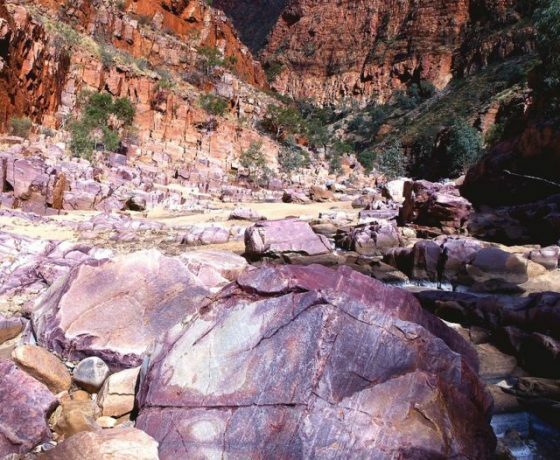 An outstanding walk awaits you into the Ormiston Pound and down the Gorge surrounded by countless millions of years of geological upheaval, brilliant colours, delightful beaches and waterholes. 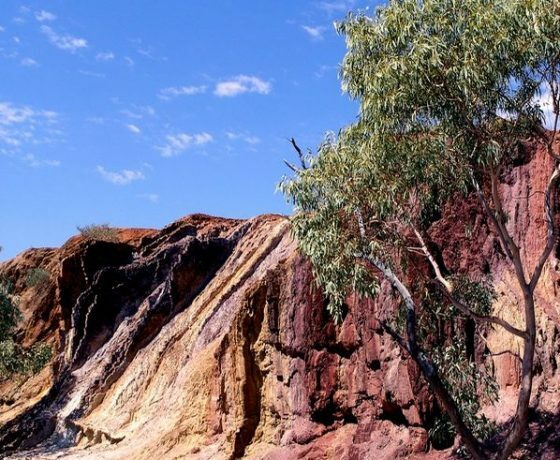 Later while returning to ‘Alice’ a visit to Serpentine Gorge and the colourful Ochre Pits from which centuries of long distance overland trade by the Aborigines originated. 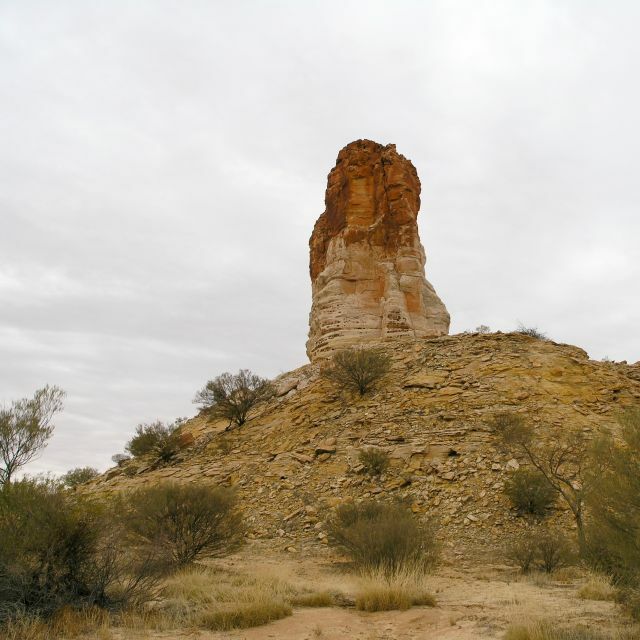 Today is best described as an adventure drive to one of Australia’s most iconic but little known desert features, the historic Chambers Pillar standing sentinel with other mesas in the fringe regions of the Simpson Desert. 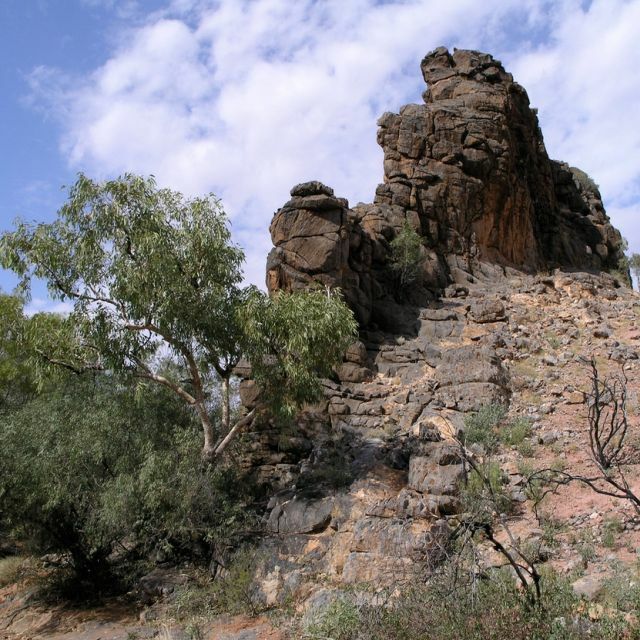 The pillar was the guiding ‘post’ for early exploration into and across Central Australia. 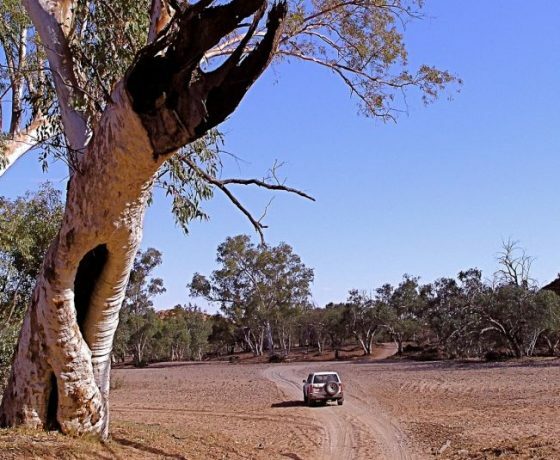 On the way you’ll visit ancient petroglyphs carved into stone at a sacred site and then negotiate one of the rougher 4WD roads or desert tracks over low sand ridges to reach the pillar. A unique picnic day out with a couple of short walks either side of lunch. 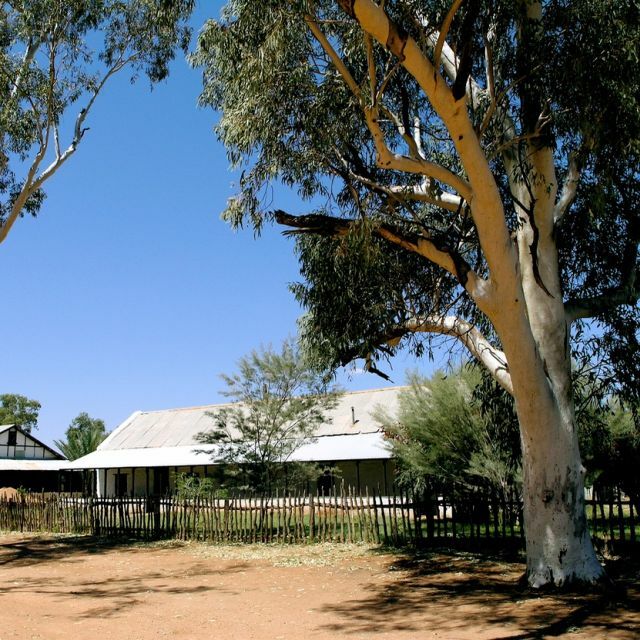 Today we’ll depart early along back roads to the village of Hermannsburg, the historic site of a remote indigenous mission and community. 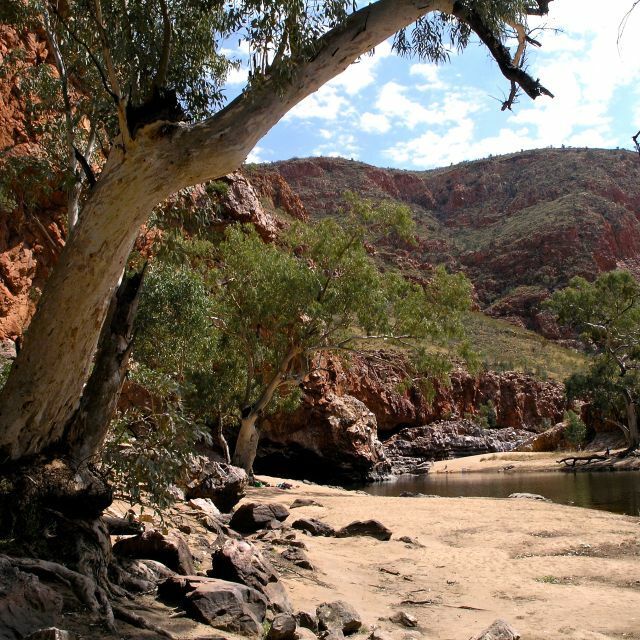 Time allowing we could divert for a short visit to Palm Valley a botanic paradise filled with its rare palms set against rich red walls and home to one of the world’s most ancient rivers lying under its bed of sand. At Gosse Bluff you can reflect on the event which rocked the world, causing global climate change, 140 million years ago. 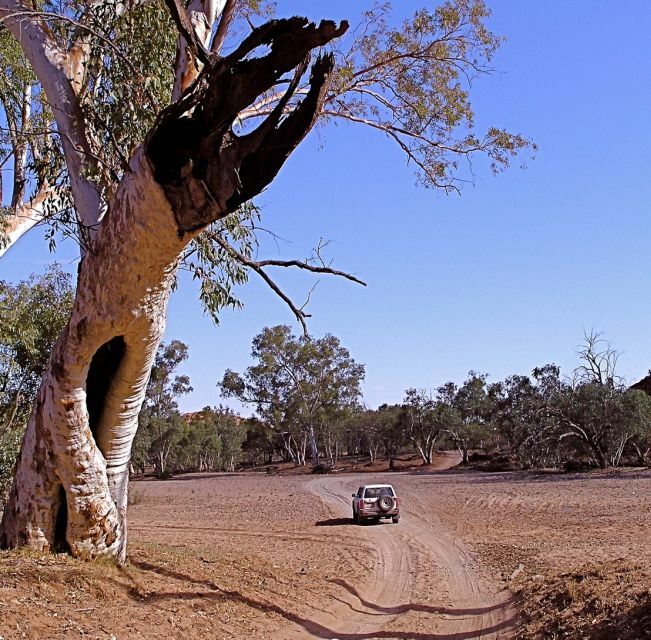 The journey takes you over rolling hills of spinifex then through Aboriginal lands to the Kings Canyon Resort. 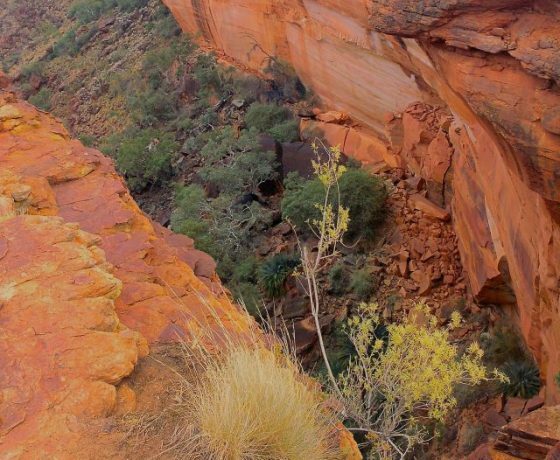 Today you can complete a walk around the rim of the spectacular Kings Canyon (Watarrka) with its unusual geological formations and precipitous cliffs inflamed by the morning sun. 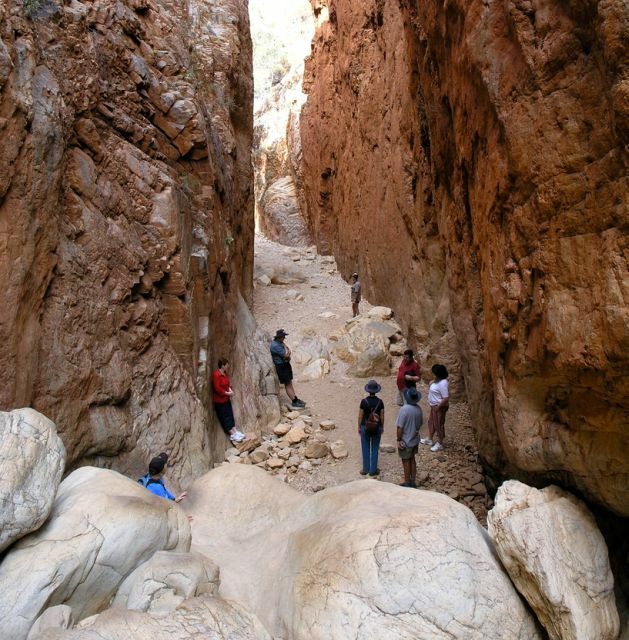 Further walking deep inside the Canyon and to other remote features of the range country is possible. 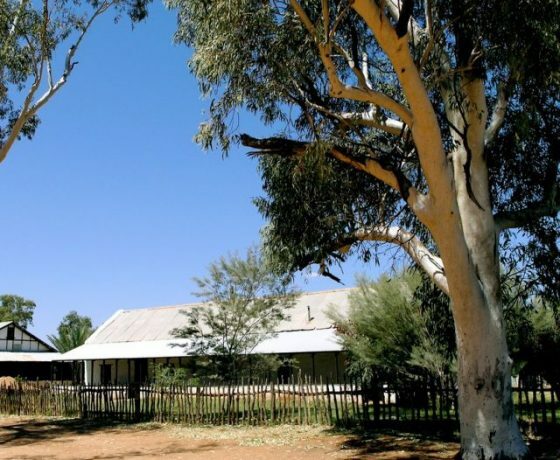 A relaxed travel day takes you from Kings Canyon resort through two remote stations, one boasting a million acres and a legendary bushman who has faced the realities of running a cattle property in this arid desert environment. 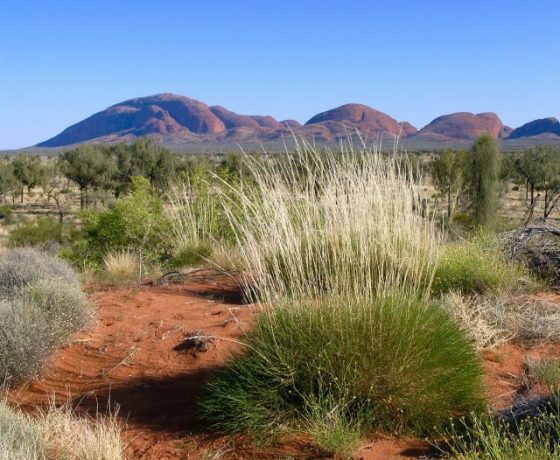 We are heading for the Ayers Rock Resort and Uluru – Kata Tjuta considered by many to be the spiritual heartland of Australia. 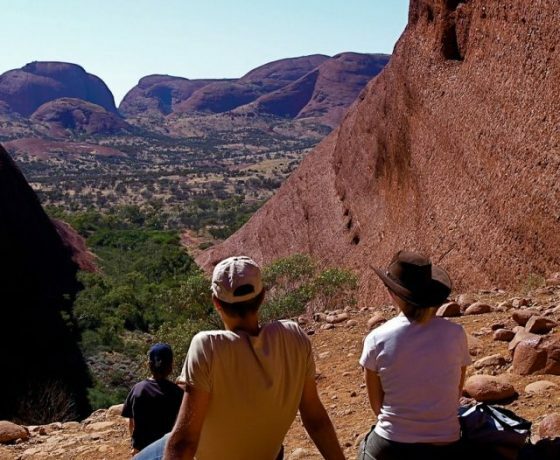 A relaxed breakfast and extended base walk around Uluru followed by time at the Cultural Centre for insightful interpretations of ‘local’ connection to country, the Anangu People and their lore. 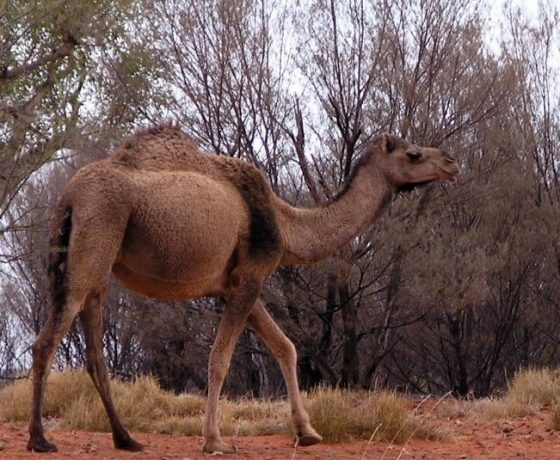 Later a visit to nearby displays of desert creatures and a stroll in native gardens of the Ayers Rock Resort will complete an informative cultural day. In the evening we’ll all enjoy a ‘swish’ dinner in the desert under a canopy of a million stars, enjoying some astrology and the soothing sound of silence only the desert can deliver. 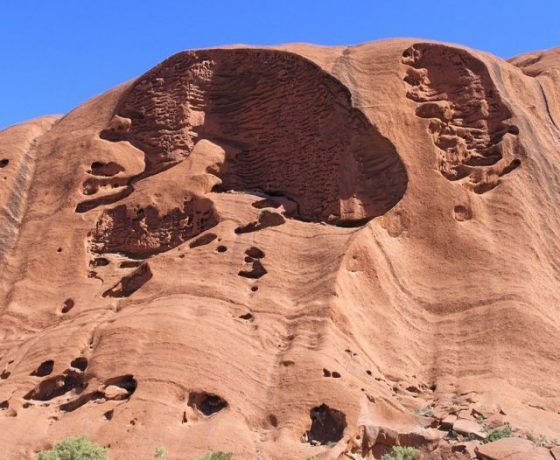 After a morning and early lunch at the resort we’ll drive to Kata Tjuta (The Olgas) for a walk in ‘The Valley o the Winds’ followed by a sunset viewing of either Kata Tjuta or Uluru. 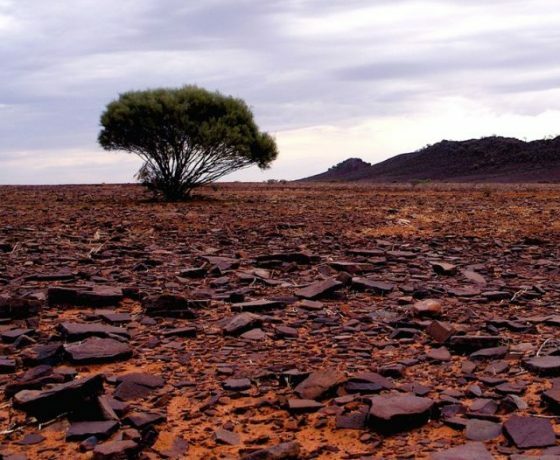 Today you’ll travel south with a partnering operator on desert back tracks to the South Australian border for exclusive entry into the Anangu Pitjantjatjara homelands. 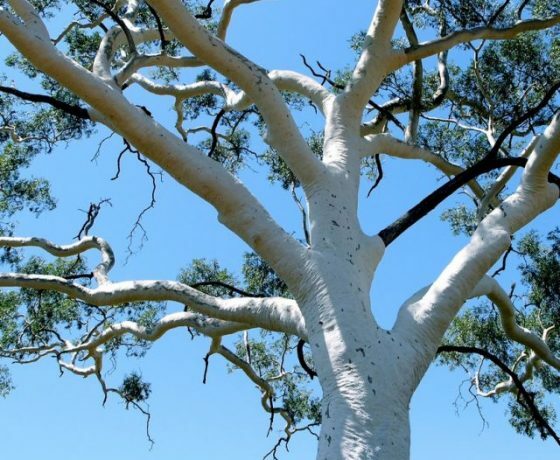 Meet your Indigenous hosts, the traditional custodians of the land and listen to their dreamtime stories passed down by descendants of their ancient community. Theirs is a living culture, yesterday, today and tomorrow. 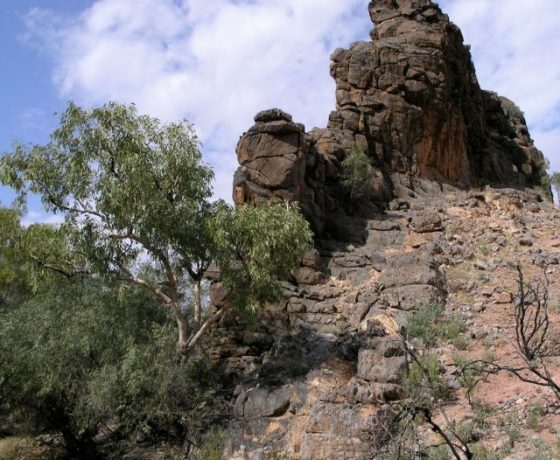 You’ll visit Cave Hill, a magnificent rock art site filled with the finest of ancient cave paintings. 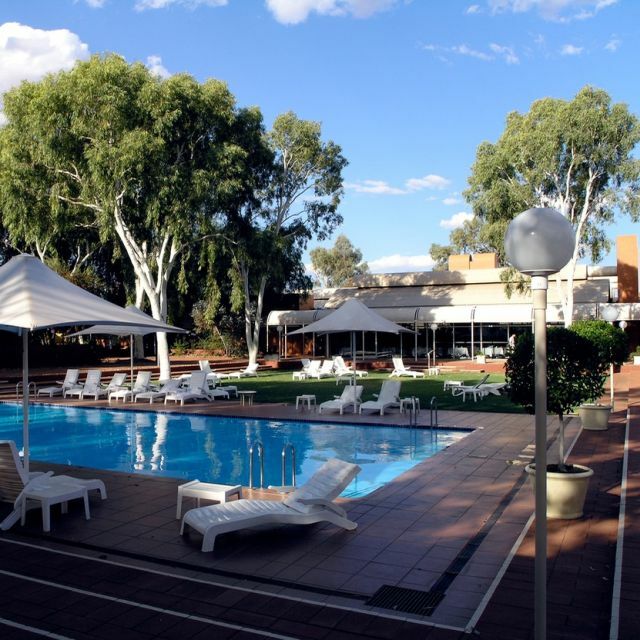 Reverse itinerary may apply – Ayers Rock Resort, Yulara to Alice Springs. 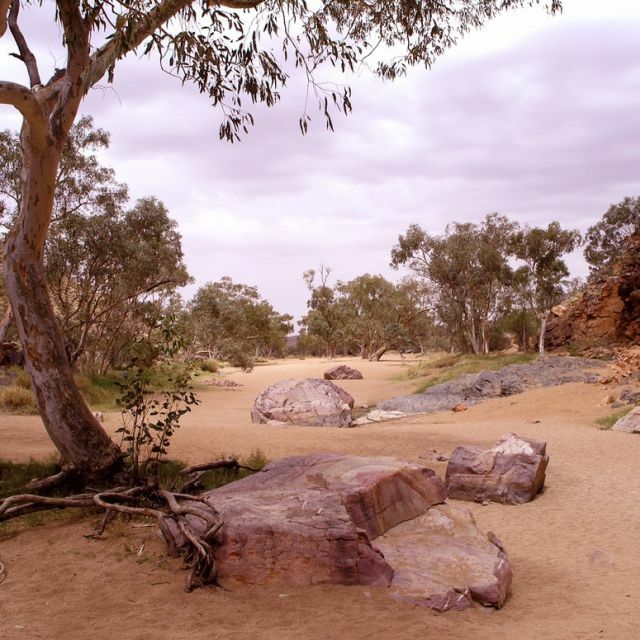 Note access to Aboriginal lands and cultural features are subject to indigenous community acceptance at all times. The itinerary may be subject to change given events beyond our control, which may occur with limited notice at any time. 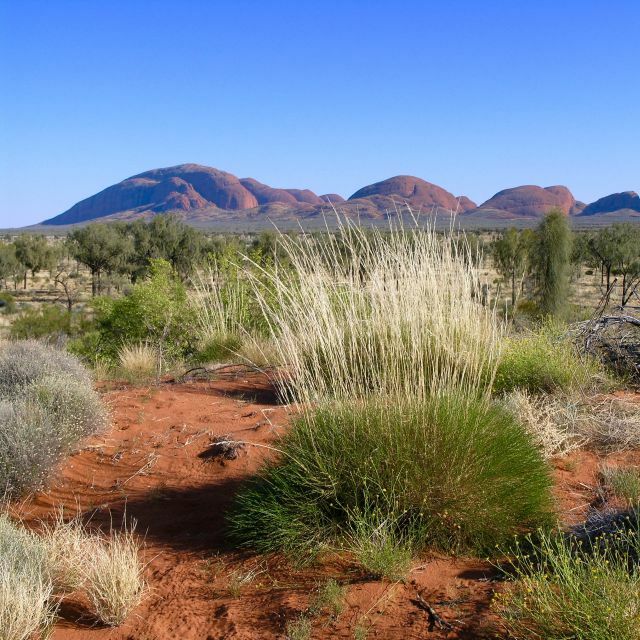 Fully supported and guided day tour into the Anangu Pitjantjatjara homelands.